Well-meaning people can end up with tax problems for a broad array of reasons and life events. In some instances a medical event or an injury can lead to unexpected medical expenses that can make a tax debt unsurmountable. In other situations a mistake regarding amounts or types of income can result in a large tax bill being sprung upon an unsuspecting taxpayer following an audit. In other situations, a taxpayer may have considered himself or herself to be “small fish” that the tax filing requirement did not apply to. However, regardless of how a taxpayer ended up owing a significant tax liability to the IRS, most taxpayers simply want to resolve the situation so that they can move past this difficult time. As you may have already discovered, in recent years the IRS has shown a new willingness to go after taxpayers who are not compliant with their filing, payment or disclosure obligations. The agency is, willing to pursue individual taxpayers who owe only a few thousand dollars as well as multinational financial institutions that handle tens of thousands of accounts amounting to billions of dollars. In short, neither being a “small fish” or “too big to fail” will shield you from the consequences of tax enforcement. However, certain forms of relief, such as an offer in compromise, can provide a pathway to correct past tax debt. An offer in compromise is a type of tax relief. It is the term for a legal agreement that can be reached between a taxpayer with an outstanding tax liability and the IRS. Most offers in compromise are based upon “doubt as to collectability.” An offer in compromise is a contractual agreement. An offer in compromise based upon doubt as to collectability can be structured in two different ways. First, the compromise could be structured as a payable in 5 or fewer installments within 5 or fewer months after the offer is accepted. This is known as a “lump sum offer.” With a lump sum offer, the taxpayer must include a nonrefundable deposit payment equal to 20 percent of the offer amount. Second, the plan could involve a short-term payment plan over the course of no less than 6 months, but no more than 2 years. However, while the short-term plan does not require down payment, it does require the taxpayer to make the proposed monthly payments before the offer is accepted. If the offer is rejected, these payments are not refundable. Regardless of the form of the offer, an offer in compromise offer must contain the information the IRS needs to make its determination. Thus, the information that should be included with an offer will change based on the grounds under which the offer for and the taxpayer’s own financial and life circumstances. And for those considering that applying for relief through an offer in compromise might give them room to play with the numbers, the offer must be authenticated as truthful and accurate by the taxpayer under the penalty of perjury. The IRS is usually willing to accept an offer in compromise when there is a good reason for it or when uncertainties may make enforcement difficult or uncertain. Working with an experienced tax attorney can help you understand your full breadth of options. Generally speaking these are the types of offers in compromise that the IRS enters into. The debt is unlikely to be collectible – If a tax debt is likely to be collectable due to money, assets and other property an offer in compromise is unlikely to succeed. However, if the computed reasonable collection potential shows that the taxpayer’s current or future income is unlikely to satisfy the debt, the IRS may be willing to arrange for a payment plan or lump sum payment. The liability on the tax debt is disputed – If the liability for the debt is disputed and there appears to be sound grounds for a tax defense, the IRS may be willing to accept a settlement. Working with an experienced Tax Attorney who can marshal your tax, financial and other records may allow you to present a stronger defense from the outset. Advancement of effective tax administration – If an offer in compromise is granted on effective tax administration grounds, it is for less that the individual’s reasonable collection potential. Typically, offers in compromise under these grounds are reserved for exceptional circumstance but they do consider factors of hardship, public policy and fairness. 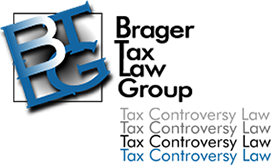 The Brager Tax Law Group fights for taxpayers aggressively and strategically. Before recommending any action, our tax attorneys always perform a meticulous review of your circumstances, finances, and any other relevant factors. To schedule a reduced rate consultation today, call 800-380-TAX LITIGATOR or contact us online.